Gov. Snyder shakes hands with Automotive student Michael Carriker. Students work in the welding area of the M-TEC building. 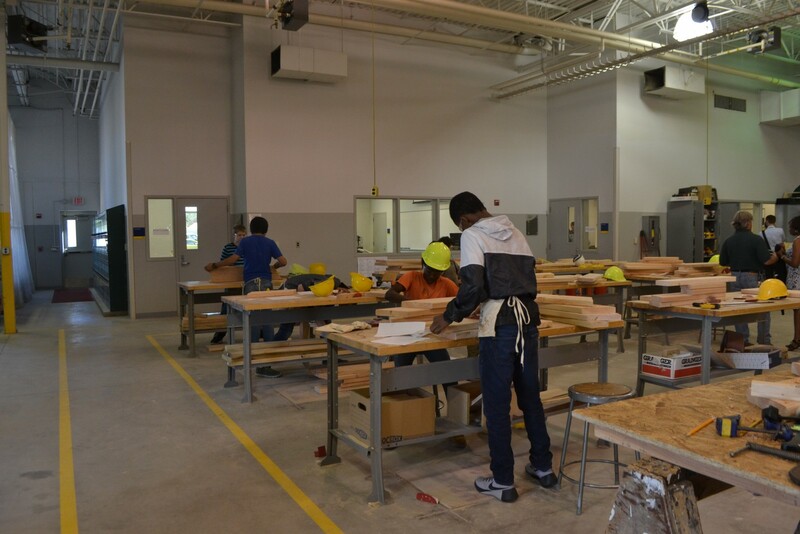 Students work on a table project in the construction camp. GRCC construction students work in the M-TEC building. GRCC professor Steven Ray and student Sam Ray interact with Gov. Snyder. The room was filled with sounds of hammering, drilling and sawing, the noise of manual labor. Michigan Governor Rick Snyder made his way through the rooms of buzzing equipment today at Grand Rapids Community College’s M-TEC center. 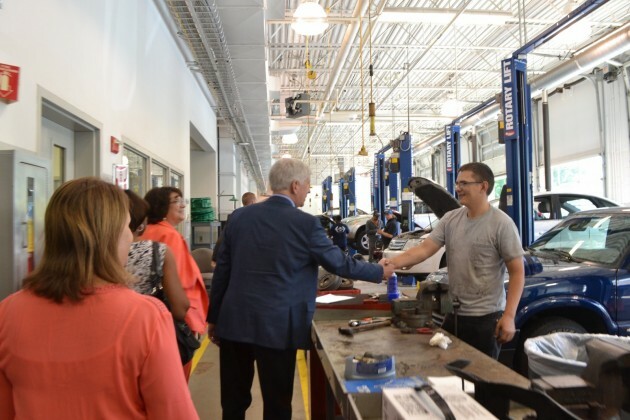 He was there to see how students are learning skilled trades. 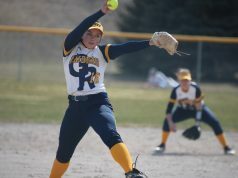 Two years ago, the state allocated GRCC an equipment grant that, with the college’s $750,000 match, totaled $4 million. 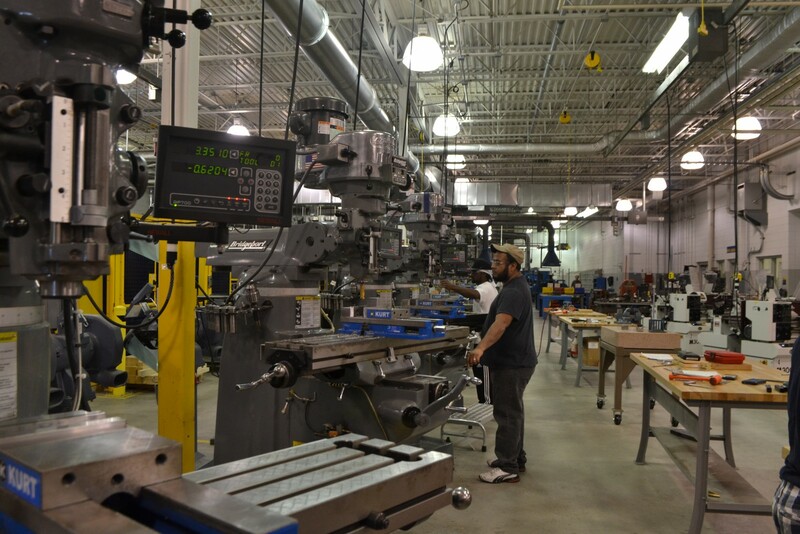 Since then, that money has been used to purchase upgraded equipment for the skilled trades programs. As camp participants worked to make tables and electrical units, Snyder said he is glad to see the new equipment being used at GRCC. 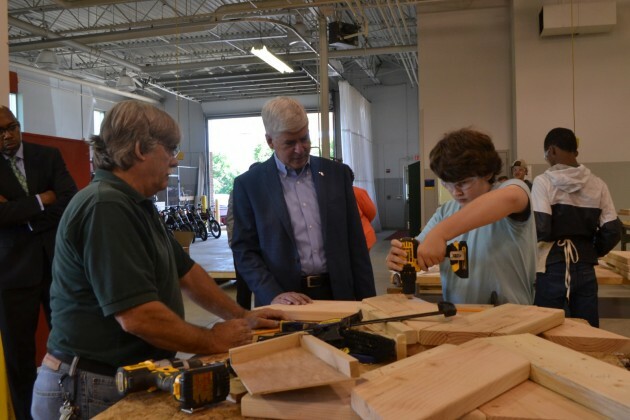 “These (jobs) are the backbone of Michigan’s economy in many ways,” Snyder said, referring to the state’s manufacturing and automotive industries. 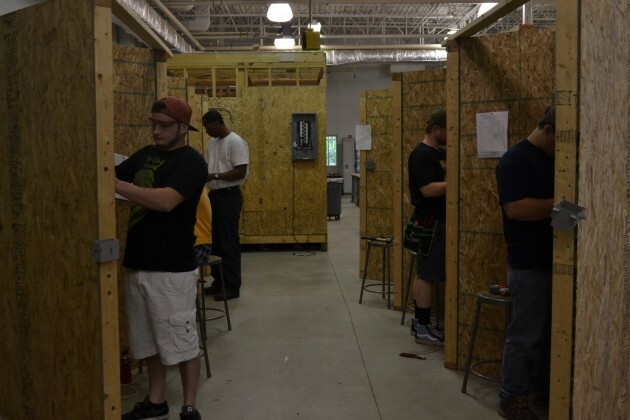 Each summer, GRCC hosts construction camps for grades sixth through ninth in manufacturing, construction and woodwork. This year is the third year and is sponsored by the Associated Builders and Contractors and the Home Builders Association. 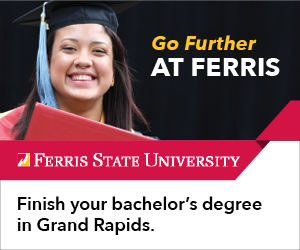 For a discounted price of $75, the 16 students spend four days at GRCC’s facility. They make about four projects and tour construction sites off campus. “If we can expose more kids to these opportunities, maybe they’ll learn about these careers, because they’re not naturally taught in your K-12 education,” said Julie Parks, GRCC’s director of workforce training. The camp introduces participants to skills like concrete work, electric, sustainability, and much more. GRCC’s Steven Ray is the lead instructor for the summer camps. “The main goal is to introduce them to the different trades,” Ray said, who also is pushing to get more parents aware of the trade programs and to get more girls in the camps.